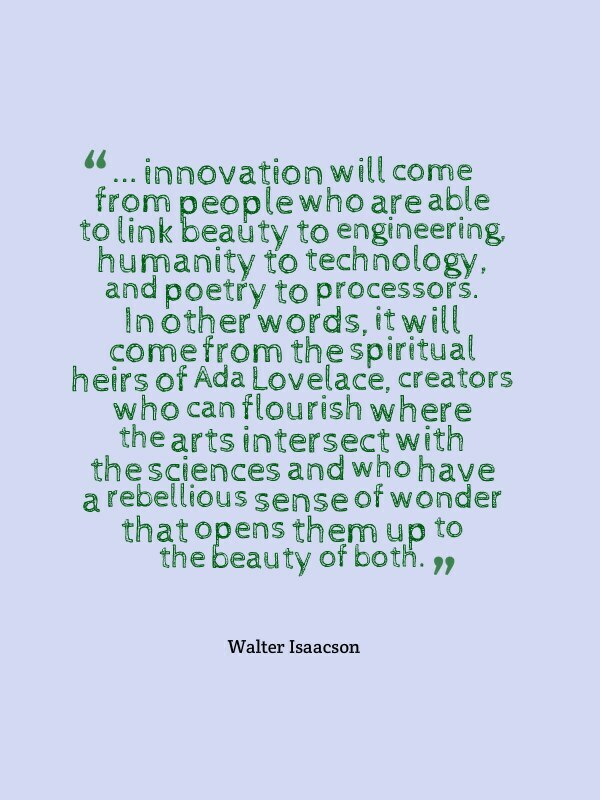 I reviewed Walter Isaacson’s book, The Innovators, the other day. But his last few lines still resonate with me, particularly as I participate in the Digital Writing Month activities. THIS is what I think about all the time as I write with technology. It is not the technology or the tool, or the subject area in which I am writing in or writing about, it is the ways in which the digital tools allow me to dance across all of those lines and make art. This entry was posted in books, Digiwrimo. Bookmark the permalink.